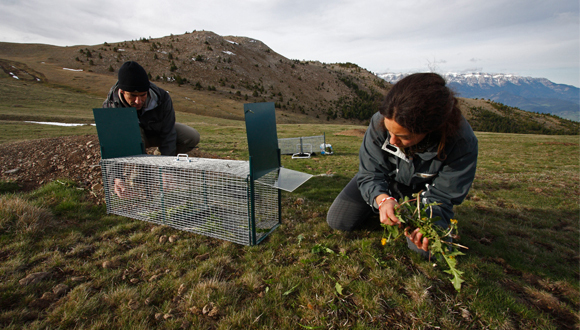 If it is desirable to analyze the state of conservation of a species of interest, it is crucial to locate populations in the territory and conduct monitoring. This monitoring corresponds to taking biometric data, georeferenced photographs, and developing a dedicated database. All of this can give information, for instance, on the effect of climate change en species vulnerability, or measure the effect of a specific territorial management action on a species of interest. Marking by microchips and capture/recapture analysis.